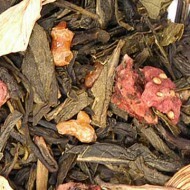 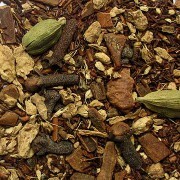 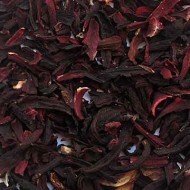 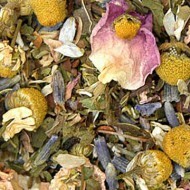 This warm herbal blend produces a delightfully complex amber infusion with a smooth and spicy finish. 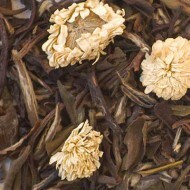 It has a peppery aroma with a hint of sweetness. 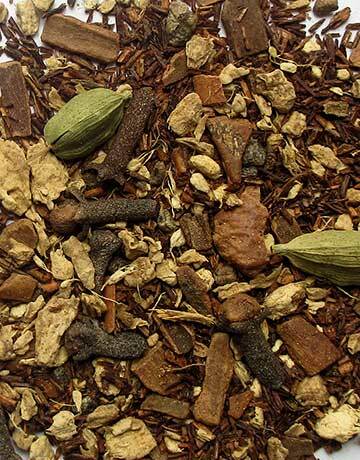 This exotic organic blend of ginger root, cardamom, cinnamon, nutmeg, cloves, vanilla bean and Rooibos will leave a slightly sweet lingering finish on your taste buds!